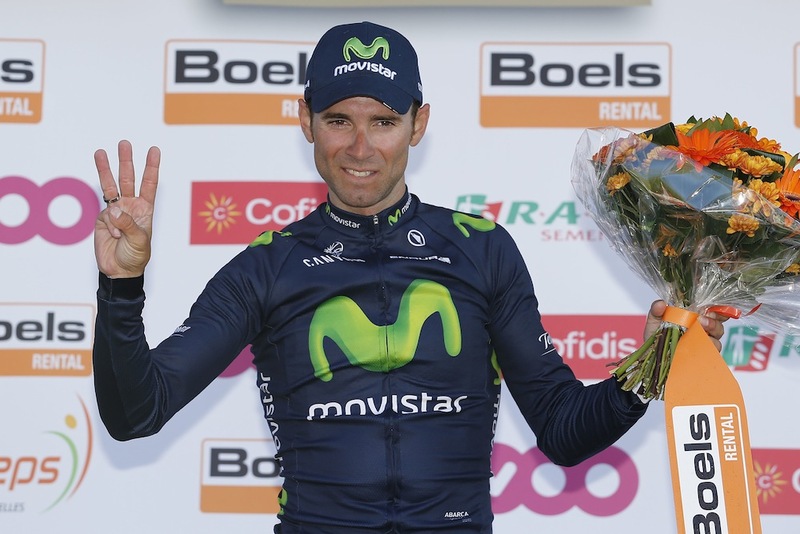 Alejandro Valverde (Movistar) made it back-to-back victories at Fleche Wallone after a powering away from his rivals in the last 100m of the finish on the Mur de Huy. While there were flurries of attacks throughout the closing 50km of the race, the peloton seemed resigned to an uphill sprint when they finally reached the Mur de Huy, with no attacks forthcoming until Valverde launched his winning move. The Spaniard had led the bunch most of the way up the climb, with other pre-face favourite Joaquim Rodriguez (Katusha) on his wheel. But neither he nor Julian Alaphilippe (Etixx-Quick – Step) and Michael Albasini (Orica-GreenEdge) were able to tail Valverde’s burst, as the Movistar rider rolled across the line with three or four bike lengths to spare to take his third Fleche victory. Other touted contenders were left out of contention during a race blighted by crashes, with Dan Martin (Cannondale-Garmin) taking a hard fall before eventually abandoning, and former winner Philippe Gilbert (BMC) abandoning after a crash with just under 50km to go. 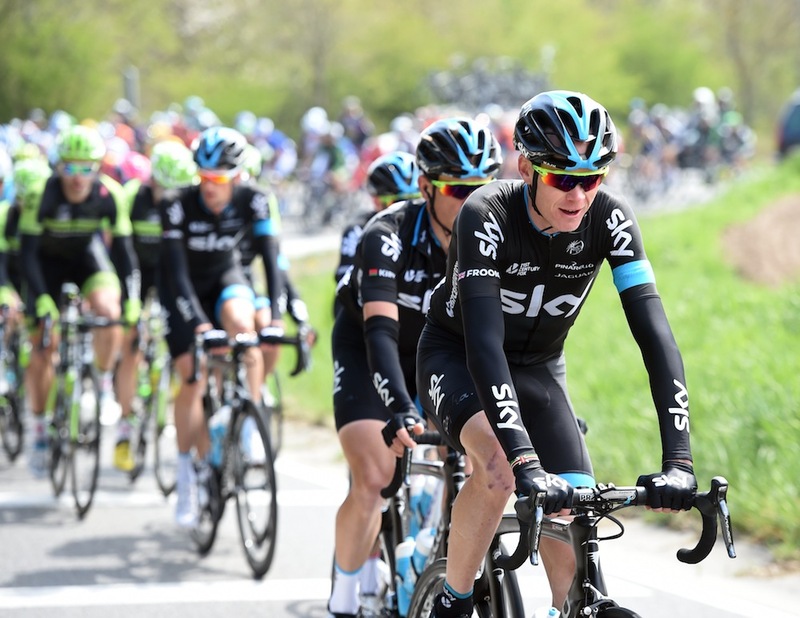 Britain’s Chris Froome (Team Sky) was another casualty, dropping out of the peloton after hitting the tarmac with only 12km remaining and finally finishing 12 minutes back. 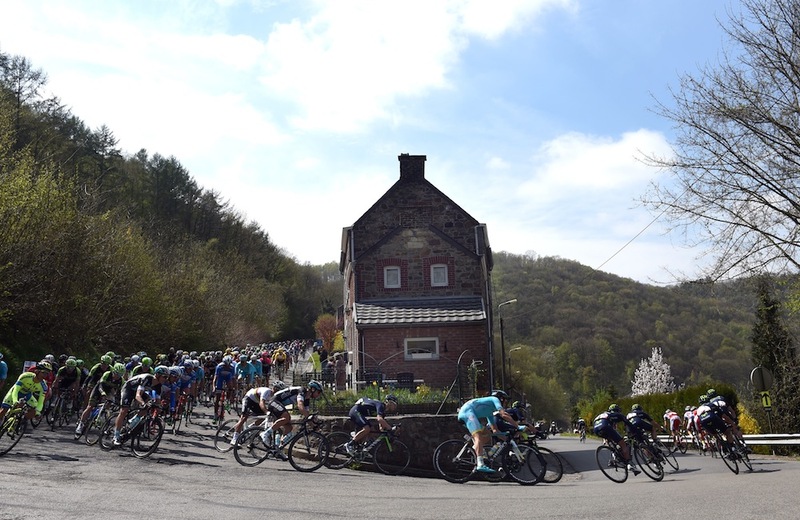 The day had begun with a break containing seven riders at around 8km, which extended a maximum gap of 7-40 before things began to break-up in the last 50km of the race. Attacks continued to come from a whole host of riders, including Tejay van Garderen (BMC) and Tim Wellens (Lotto-Soudal), but none were able to stick. In the end, it was all back together for the final ascent of the Mur de Huy with defending champion Valverde the rider to come out on top.